Styled with westin skirt and chalmers sweater . This double-breasted blazer from Babaton is made with Terado™ — a signature fabric that's matte crepe on one side and silky satin on the inside. The lightweight stretch lining ensures a comfortable fit, while clean minimalist tailoring emulates the look of soft suiting from the '90s. 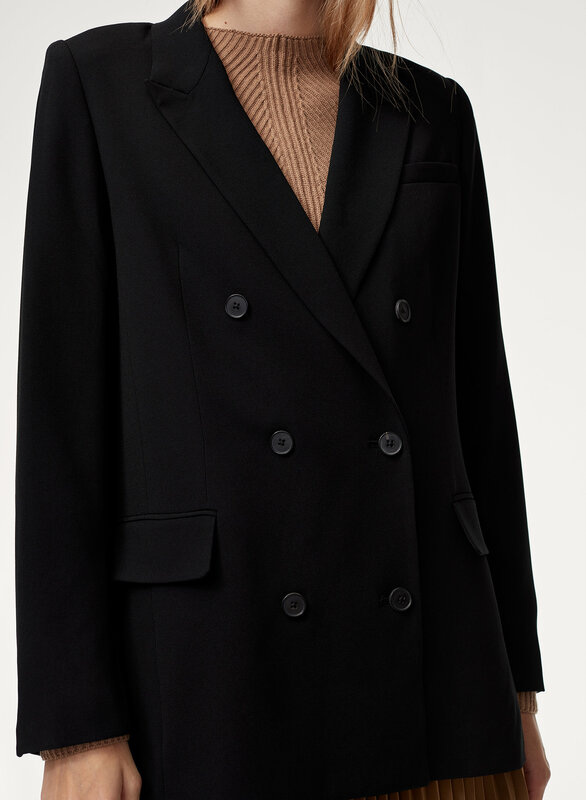 I have been dying to get my hands on an elegant, classic blazer that was the length and fit that I wanted. This blazer exceeded my expectations! Plus I nabbed it on sale, just in time for the New Year, what better way to start 2019 in style! This is a well-tailored blazer that looks very classy. 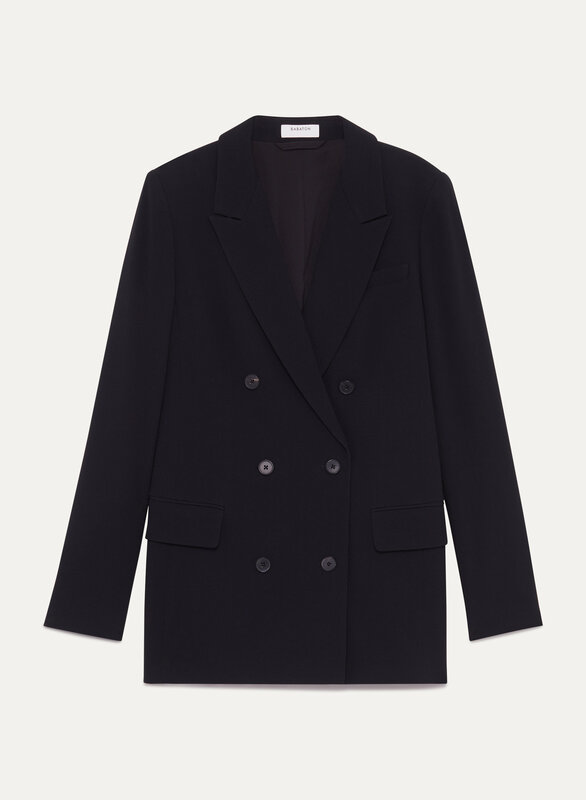 But it does run large: I'm consistently a 2 in Babaton clothes, but I had to get this blazer in a 0. The 0 fit exactly the same way a 2 usually fits. The larger size might have looked good on someone with a different build who can pull off oversized looks.